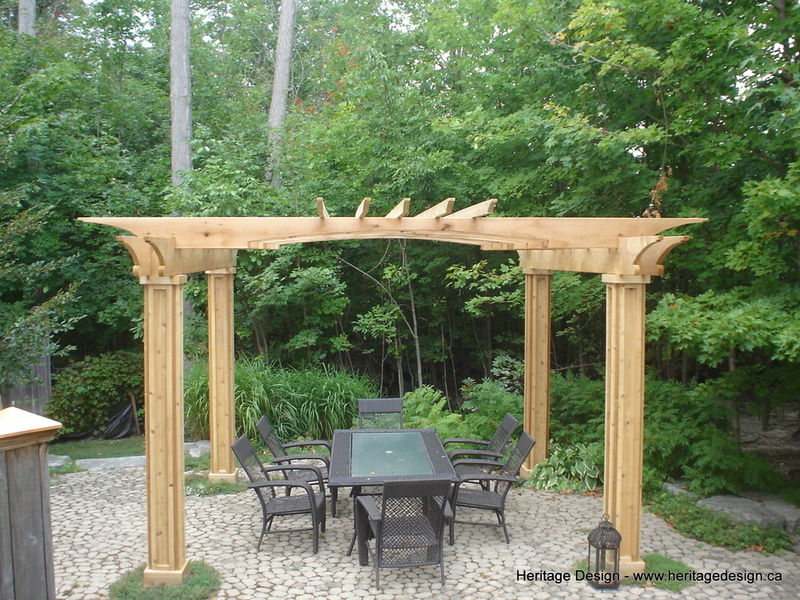 You say pergola, I say pergola. 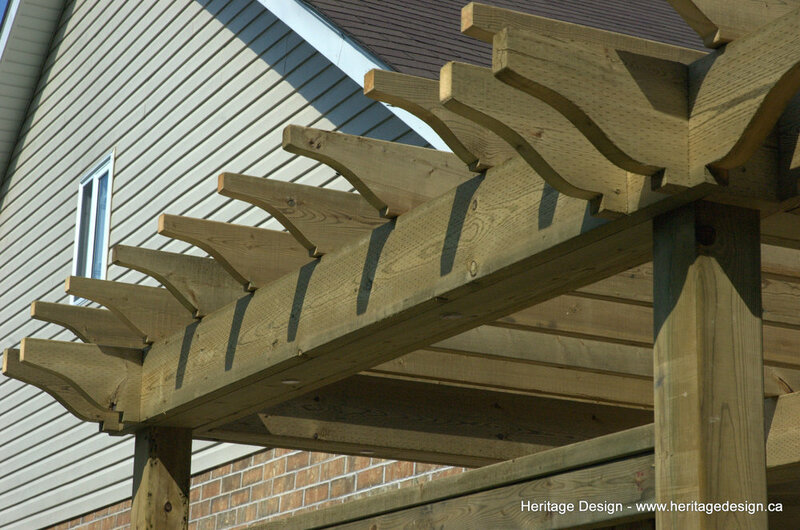 Adding a pergola to your backyard landscape provides architectural detail, striking structure and dappled shade. 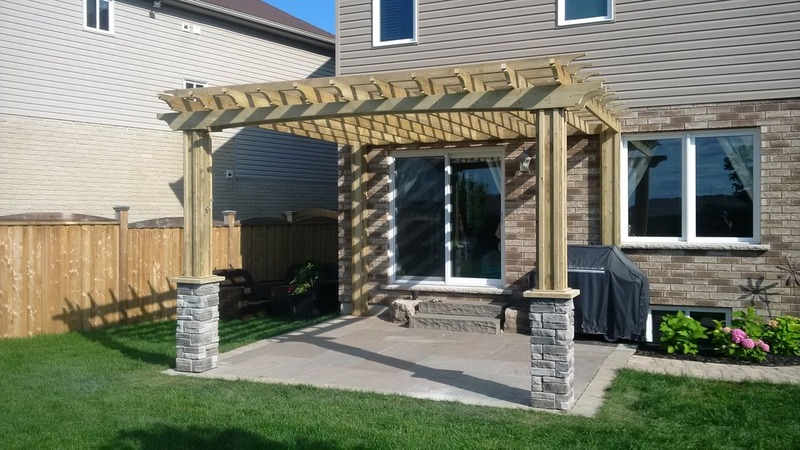 Installed on your deck, over the front door, on their own or as an arbour, pergolas add class and sophistication to any landscape. 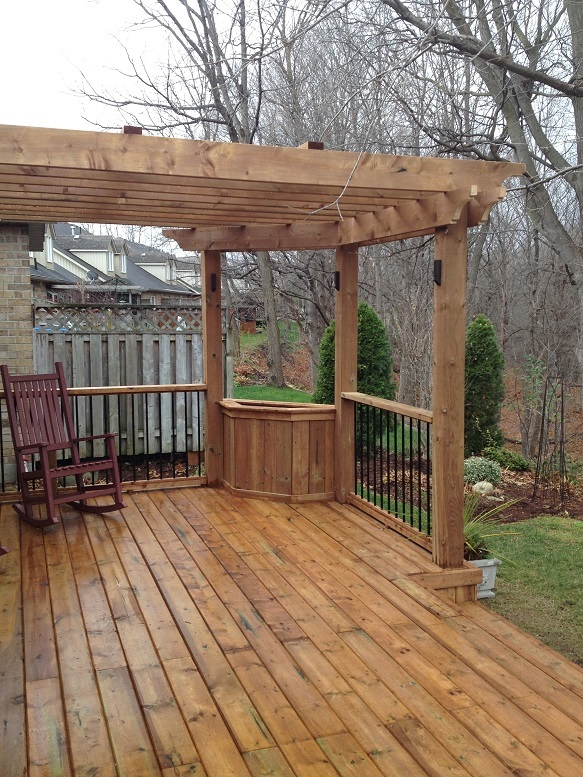 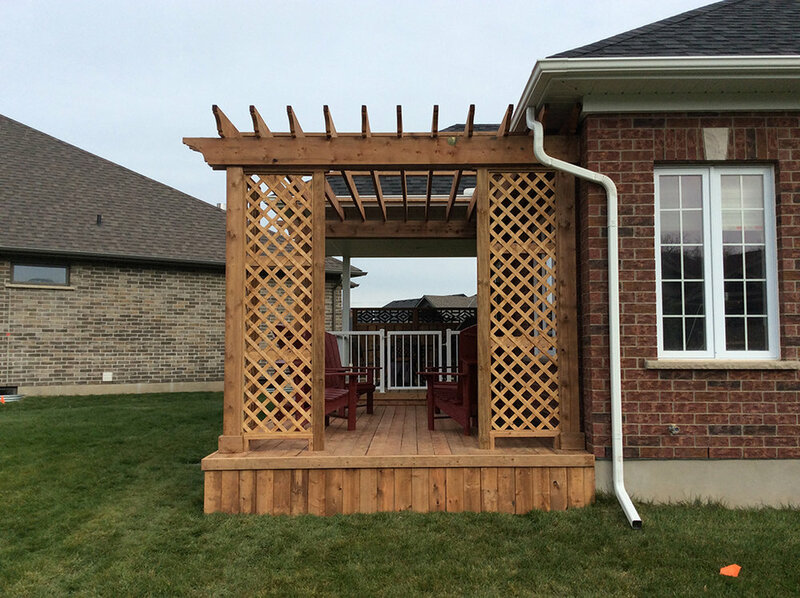 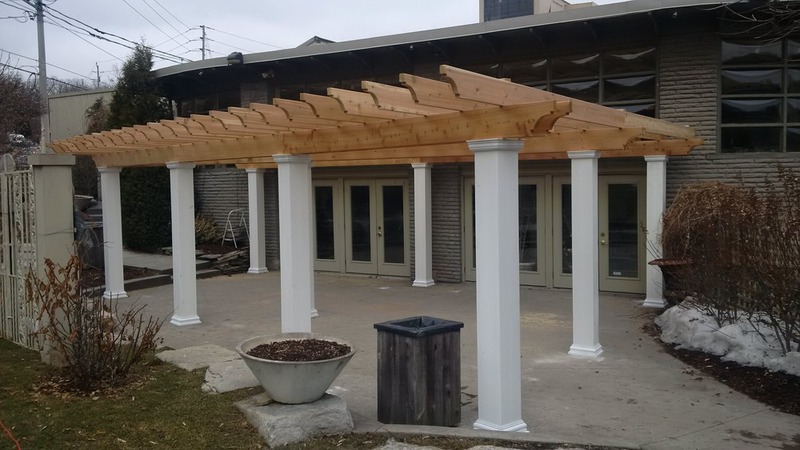 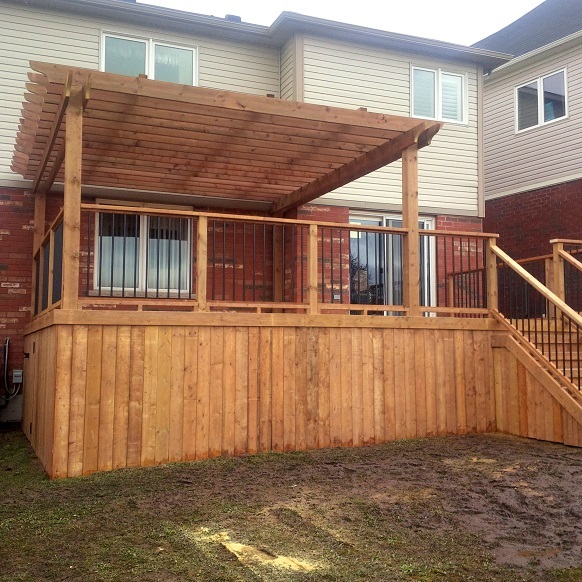 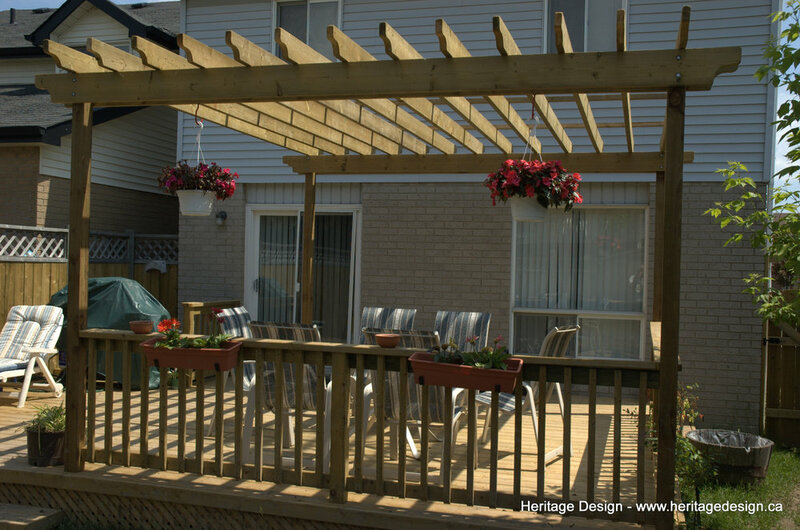 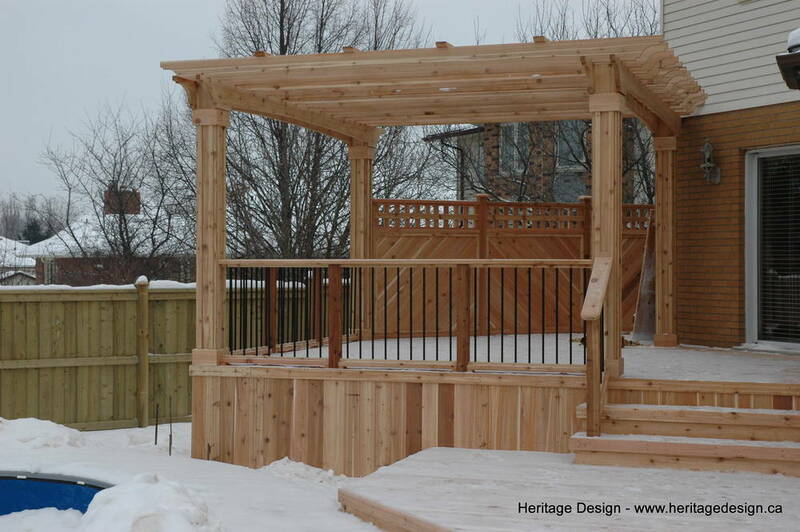 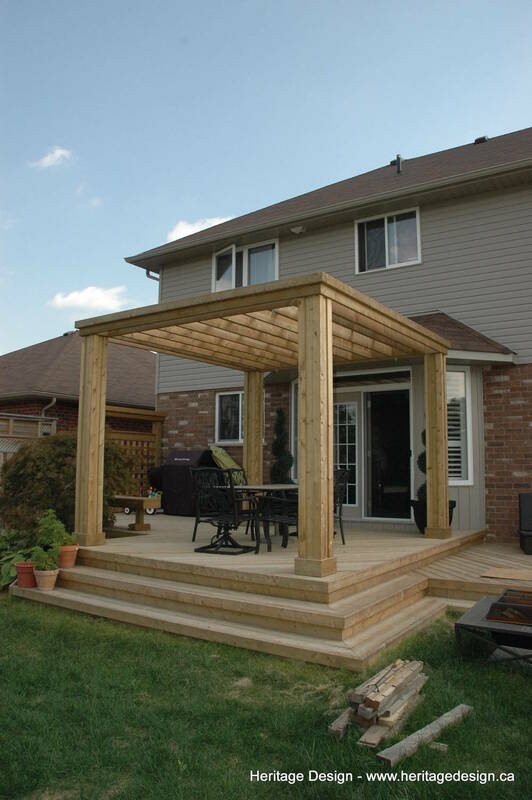 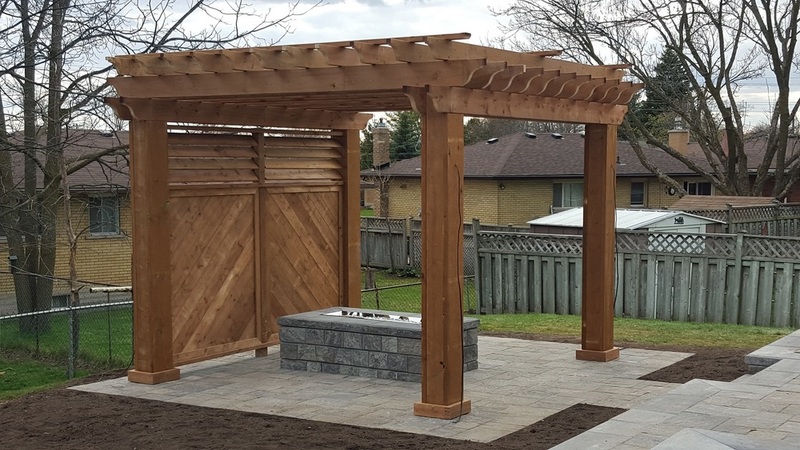 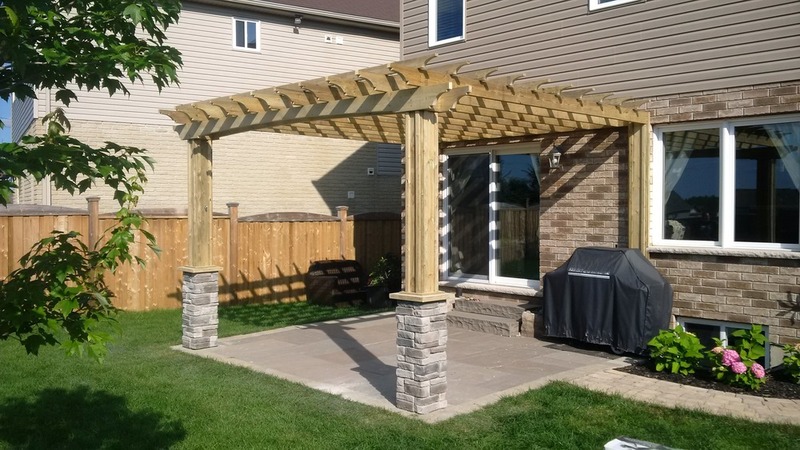 Available in cedar wood and pressure treated wood, pergola designs may also incorporate maintenance free materials such as composite or vinyl. 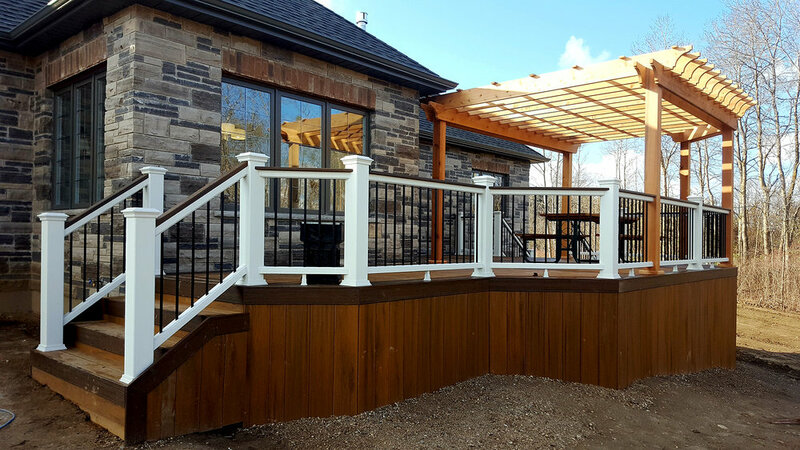 Contact us today to set up your free onsite estimate. 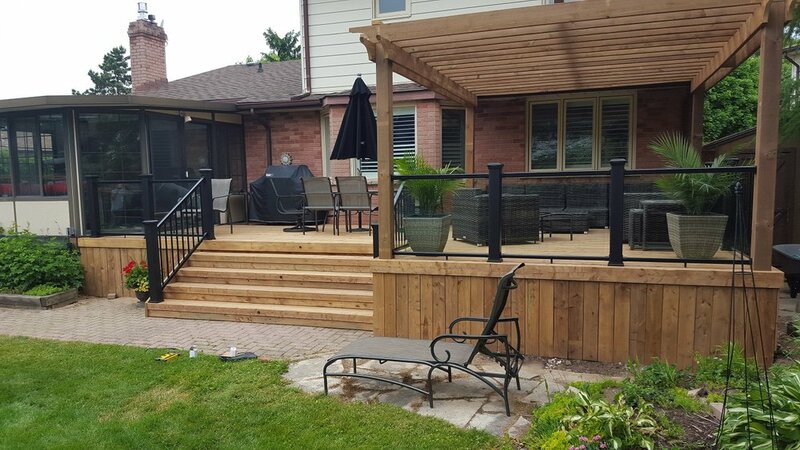 Our experienced staff would be happy to help you create the backyard of your dreams.